We Live In Reality. So Invest In Uranium. Huge upside potential with minimum downside risk. That’s what I want in an investment. That’s what I search for. If you think about it, that’s what everyone should want. I mean, who would want to risk their money? Doesn’t everyone want to make big returns? So, we should search for big returns without risking money… right? Obviously, this is easier said than done. I think it’s much easier than most think. It’s relatively easy to find investments with huge upside potential AND minimum downside risk. It’s easy in the sense that it doesn’t take a genius to find these opportunities. Anybody can put the work in to find these investments… it’s just that few have the patience to put in the work. Don’t worry, I do. And I share it with you. That’s why I recommended buying uranium almost a month ago. And we’re up almost 15% since then. That’s 180% annualized returns. But I doubt it will continue at that current pace. Or will it? Uranium has been hated for a while now. You’ve heard me talk about it before. Not only did the disaster at Fukushima sour everyone’s taste, but the actual metal – uranium – has been over-supplied for a while, which has crashed prices. Uranium is literally selling for less than the cost of production. Think about that. That’s like a house that is selling for less than the cost of construction. It’s just not a longterm trend. Eventually, prices must increase. So… this is a perfect investment. Limited downside risk with huge upside potential. I’ve already shown you all kinds of charts and statistics about how uranium is trading near all-time lows. But, I went a little bit further to research this sector. Actually, I went a lot further – literally. 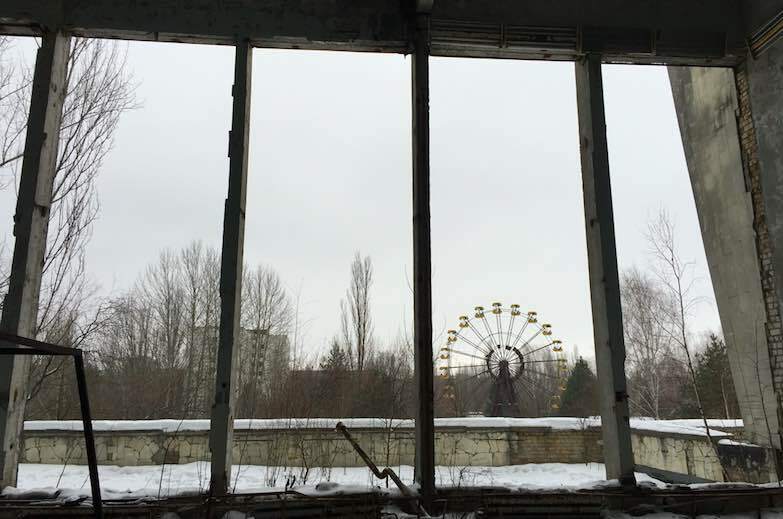 I visited Chernobyl, the site of one of the world’s worst nuclear disasters. 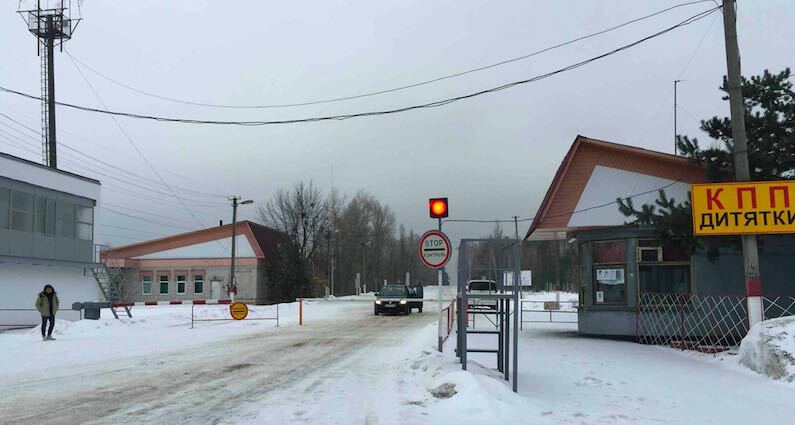 The exclusion zone that surrounds Chernobyl is larger than the country of Luxembourg and crosses the border from Ukraine into Belarus. The original welcome sign into Chernobyl, complete with Soviet branding and nuclear energy symbols. This dome-like structure was just installed a couple months ago over reactor #4 to contain radiation. An initial sarcophagus was installed right after the disaster in 1986, but was not the ultimate solution. 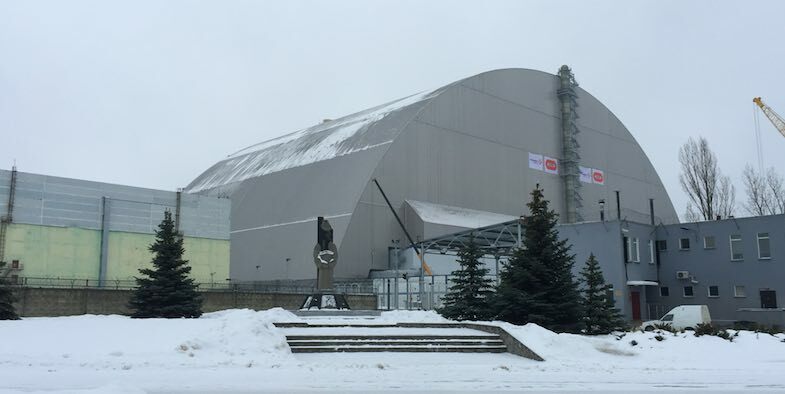 Because of the fall of the USSR (and a variety of other reasons), this new covering wasn’t installed until late 2016. The structure, that was built by a French company was built right next to the reactor to prevent radiation exposure to the workers. After the construction was complete, the structure was slid over the reactor. It’s the largest moveable structure in the world at nearly 350 feet high and almost 900 feet wide. I took this photo from the abandoned city of Pripyat. This city was built right next to the Chernobyl nuclear power facility. It was a model city that was built for 80,000 people. At the time of the disaster, there were just under 50,000 people living there – they were all evacuated in one day. Everything was left behind. An abandoned pool in Pripyat. Everything from soccer stadiums, to preschools, to movie theaters was left behind. Nature (and vandals) are slowly taking back the city. Truly a ghost town. 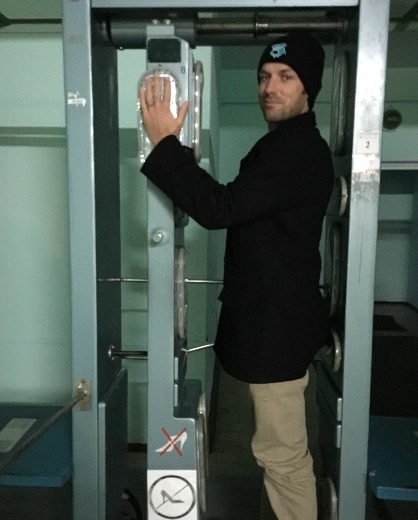 Before leaving the exclusion zone, we had to get screened for radiation levels. Now, I’m not going to convince you that nuclear power is the solution to human’s need for electricity. Clearly, nuclear power can turn into an enormous disaster. But, guess what? We live in reality. And nuclear power is currently the most efficient (and clean) power source that we have access to. That’s why France depends on nuclear reactors for about three-quarters of its electricity. Also, all three leading French presidential candidates have said they will support the nuclear industry, at least in the medium term, as the best guarantee of energy security and a low-carbon future. And France is not alone. China, the world’s second biggest economy, will almost triple its nuclear capacity to nearly 100 gigawatts by 2026, making it the biggest market globally. China has 20 reactors currently under construction, according to the International Atomic Energy Agency. Another 176 are either planned or proposed, far more than any other nation, according to the World Nuclear Association. Nuclear power is the solution to many country’s increasing power demands. There are dozens of countries other than China and France who are looking to use more nuclear power in the future as well. But, we live in reality, and it’s what makes sense right now. So, from an investing standpoint, we can look at uranium (the fuel for nuclear power plants) as a great way to profit. Prices are historically low (which makes for limited downside risk) and future consumption will be rising (which makes for big upside potential). What companies/ stocks can we specifically look into if we’d like to invest in uranium? Btw great blog! I love the articles and passion, dedication you write with. It’s very inspiring.